As you know, the children have an opportunity every day to share something with their classmates as a group. March and April is their opportunity to share you! We would greatly welcome you and/or your child to share something about you. This might include an occupation, hobby, culture, or special passion/tradition that your family practices! Your presentation does not need to be long...remember the attention span of your audience! One half hour is suggested to be the maximum amount of time for your presentation. Please call the office to submit your topic and schedule your day. We look forward to hearing from you! Believe it or not the end of the year is right around the corner. And with it comes our graduation ceremony at the Columbus Zoo. The day is set aside for us to say thank you to all our families for a wonderful year, and all families are invited. However, the focus is on those children who will be leaving us and entering into first grade. These are our graduates and they are being acknowledged for completing a path and being ready to step into the next adventure…First Grade! A graduation ceremony is held at the end of May. The participants are students who have completed their kindergarten course of study at Dublin Montessori and are advancing to first grade. The number of years the child spends in the school is inconsequential, whether it is two, three or four. The ceremony is to acknowledge their entrance into first grade and celebrate them, their achievements and independence. 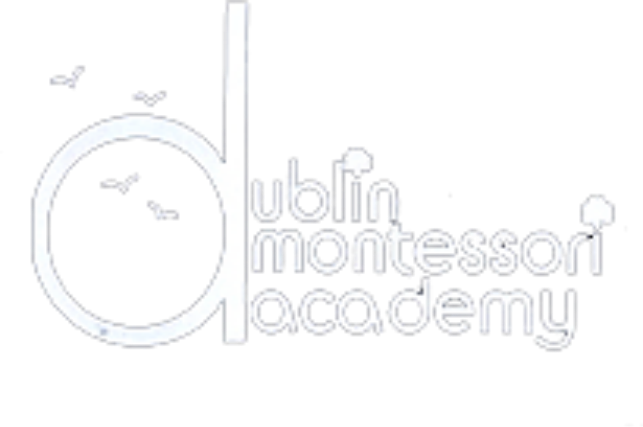 The Parent handbook for Dublin Montessori Academy has been updated to feature the new rules required from ODJFS. If you would like an updated handbook, please stop by the office to get your copy. New Labels on Various Snacks—Please Read Labels. It has come to our attention that some brands on the market are adding a statement under the ingredient list that states: May contain almonds, cashews, pecans, milk, wheat, soy. As you know we are “nut free” when serving classroom snacks and celebration treats. Please be diligent in reading labels when shopping for your child’s school snacks. We do like to see that all of snacks brought in to be in the original containers making it easier for us to read the ingredients. When baking for the classroom as in snacks or celebration treats, please include a list of ingredients. If any snack brought in contains nuts or hydrogenated oil (trans fat) it will be sent home for your family to enjoy. Please also check juices as they need to be 100% juice. Open House for DMA Parents Has been postponed to February 7th due to upcoming weather prediction. Please join us for the Dublin Montessori Academy Annual Open House. It is a time for parents to come into the classroom and see what works your child enjoys. The date is Thursday, February 7th. It will begin at 4:30 pm and concludes at 7:00 pm. We have implemented a new alert system. You will receive a text or voice call to alert you of school closings due to weather, special events, scheduled days off, etc. By now you should have received some messages, please let us know what you think or if you haven’t received the messages. Montessori classes will close when Dublin City Schools close, however we make every effort to keep the Extended Care program open. You may call the school if you are in doubt, as the status of the school will be on the voicemail. Our next celebration is fast approaching...another opportunity to spread good cheer to everyone! On Thursday, February 14th, the children will celebrate Valentine’s Day. We ask that every child bring in 24 signed Valentine cards for each class that they attend. Classroom 1 PM has 20 total children. These cards should be in BLANK envelopes. PLEASE DO NOT ADDRESS THE CARDS. Special containers are also not necessary because the children will be making their own items in the classroom. Although parents do not attend, if you are interested in contributing items for the party such as plates, napkins, cups, fruit, etc., please call the office at 614-761-2020 and we will let you know what your child’s teacher has requested. Registration forms will be distributed next week for next school year. These forms are only for current students planning to return next year. Siblings and referrals must register with a different form which can be obtained in the office. If you do not receive a registration form for your current student , please call the office. Forms are due by Friday, February 15th accompanied by a $200 deposit. After this deadline, when all currently enrolled students and siblings have had the opportunity to register, the school will then confirm new students for any remaining classroom openings. Donations are being collected to help the homeless. All donations will be given to the Salvation Army shelter at Worthington Woods. Details are on the last page of the newsletter. We thank you in advance for helping us help our community. Two conferences sessions are offered each school year for parents to discuss the progress of their children. The first session is Monday, November 12th from 8:00 a.m. concluding at 5:00 p.m. and Tuesday, November 13th from 12:40 p.m. concluding at 5:00 p.m. The second session will be in April. All Day Kindergarteners and All Day Classes (unless enrolled in Extended Care) as well as children in the lunch program will be dismissed at 11:30 a.m. on Tuesday. You will receive your Progress Reports on November 5th. If you would like to schedule a parent-teacher conference, please call the school for an appointment. Conferences are twenty minutes long. Children do not attend the conference. Please bring the Progress Report with your signatures to the conference. If you do not wish to have a conference at this time, please sign the report and return it by Friday, November 9th. We must have the originals returned. Copies will be furnished upon request after the signed originals have been returned. There is no school during the conference sessions, however the Extended Care Program is in session. Don’t forget to set your clocks back one hour. Daylight Savings Time ends November 4,2018. Please stop by the front office to request one for your child’s classroom(s). We thank you for providing nutritious lunches including all the food groups (school provides organic milk) with the appropriate portions. Keep in mind your child’s size in relation to the proportions. A healthy lunch gives your child the energy they need for their afternoon. If a treat is packed, your child knows that eating all the lunch must be accomplished before the treat (dessert) can be enjoyed. That’s why you see those items returning home unopened and uneaten. Remember, trail mix, dried fruits or a small granola bar are great treats to provide for dessert. Yogurt is a great source of calcium with out the added sugar found in pudding. Always check the label not only to see if an item is low fat, but also for the amount of sugar. Notes are a great way to remind your child you are thinking of them without the extra calories. Remembering to supply your child with utensils is also greatly appreciated. clothing box to see that the shorts and tee shirts are replaced with pants and long sleeved shirts. It is also very helpful to label all jackets, hats and gloves. Morning classes: 8:30 a.m. to 11:30 a.m. Afternoon classes: 12:30 p.m. to 3:30 p.m.
Before each class, the teachers are busy preparing the classroom to create the best environment for your child and they are not to receive children prior to start time. If you must arrive before the start of class, you may wait with your child in our foyer. Please see Mrs. Roshon or Mrs. McMullen upon entering the building if arrangements need to be made for your child until class begins. Also, if you arrive after 8:40 a.m. or 12:40 p.m. please ring the bell and walk your child to the classroom door. Thank you for your adhering to our policies and working toward the safest environment for all of us. In compliance with state law, our communicable disease policy as related in the Parent Handbook states that a child with a temperature of 100 degrees or higher, must be free from fever twenty-four hours before returning to school. We appreciate your cooperation in helping us to maintain a healthy environment. Please help us show consideration for each other’s children by complying with this policy. If your child is ill and is going to be absent from school, a phone call to the school is appreciated. If the illness is communicable, we need to know so that we can inform other parents to watch for symptoms. If necessary, prescription medication can be administered to children attending the Extended Care Program. The Form JFS01217 must be signed by the attending physician and parent before we can give your child medication. The medication must be in the original container, and given to a staff member upon entering the school. Please do not put medicine in lunch boxes or backpacks. We ask that you not send cough drops or lip gloss. You may request a supply of forms to keep handy to avoid an additional trip to the physician’s office for signature. Please refer to the Parent Handbook for further details. We welcome our parents to observe the classroom at any time, however, we respectfully request that certain guidelines be followed. The best time to observe is after the children are in the classroom. This allows them the needed space to get their coats. Please refrain from distracting your children during work or line-up times. Do not open the classroom door to talk to the teacher or your child. If you need assistance please see someone at the front office for help. The small window on the door does not have a privacy film, your children can see you. Please use the large window when watching your child in the classroom. If possible, please use a quiet voice while observing; your voices can be heard in the classroom. Coats, jackets, vests, sweatshirts, sweaters that might be taken off during the day, new lunch boxes and other items that might find their way to school need to be labeled with your child’s name so they can be found. Thank you! Wednesday, November 21st through Friday, November 25th. All registration forms for the next school year were due on Friday, February 17th. If you overlooked turning your registration form in, please contact the office. We will soon begin to accommodate new student requests for admission. In compliance with state law, our communicable disease policy as related in the Parent Handbook states that a child with a temperature of 100 degrees or higher, must be free from fever twenty-four hours before returning to school. We appreciate your cooperation in helping us to maintain a healthy environment. Please help us show consideration for each other’s children by complying with this policy. If your child is ill and is going to be absent from school, a phone call to the school is appreciated. If the illness is communicable, we need to know so that we can inform other parents to watch for symptoms. Thank you. A big Thank You to all our parents that contributed cookies, frosting, strawberries, etc. for our Valentine’s party! The children really enjoyed their day!